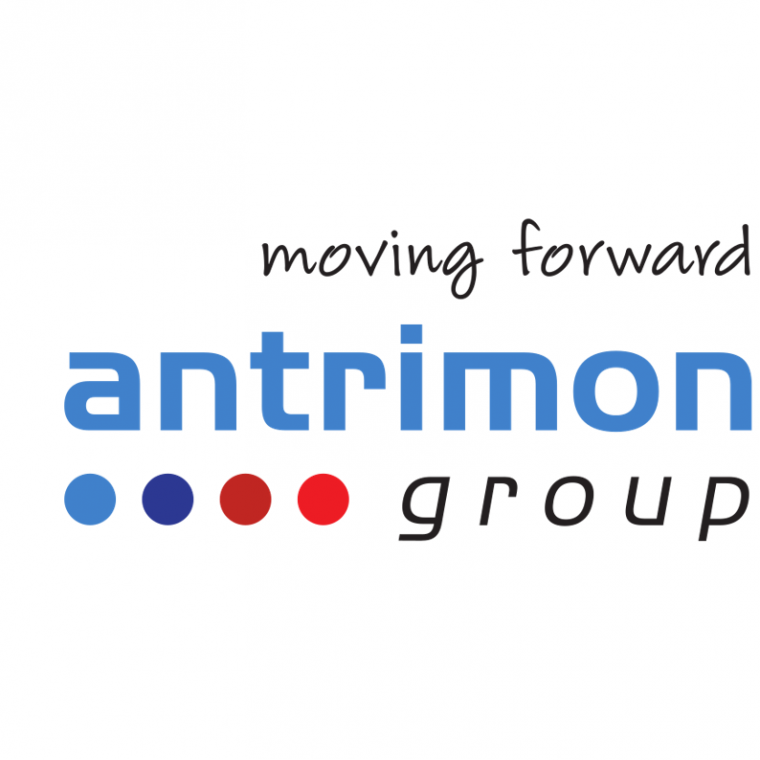 We are proud to present ANTRIMON Group AG as a Silver Sponsor 2019 of HSR Enhanced. 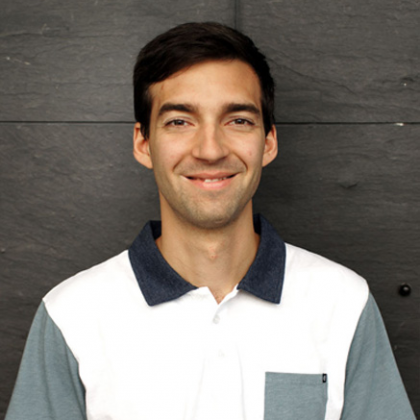 Thank you very much for your contribution to our project! 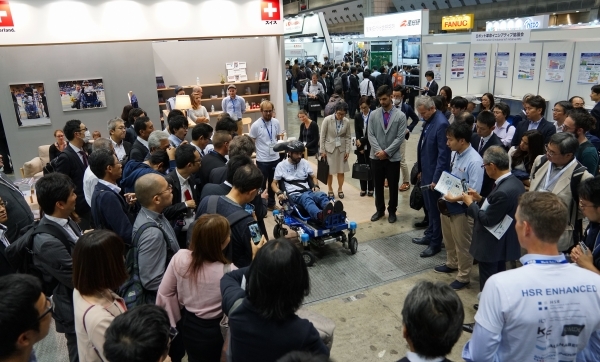 CYBATHLON Wheelchair Series Japan 2019 is now less than a month away! Come cheer the teams on May 5 in the heat of the competition! 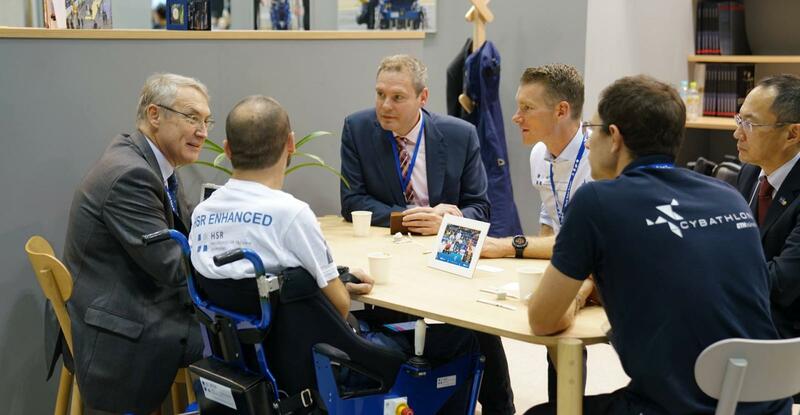 Team HSR Enhanced has participated in the CYBATHLON Experience at the World Robot Summit exhibition in Tokyo. 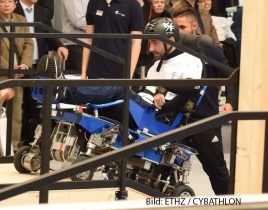 Each day from 17-21 Oct 2018 we gave two live demos climbing the new six-step stairs, and one technical introduction into the functions of our race wheelchair ‘ZED Evolution’ in development for CYBATHLON 2020. Present on site were pilot Florian Hauser, engineers Raphael Schröder and Sergio Miracco, and team leader Prof. Dr. Christian Bermes. 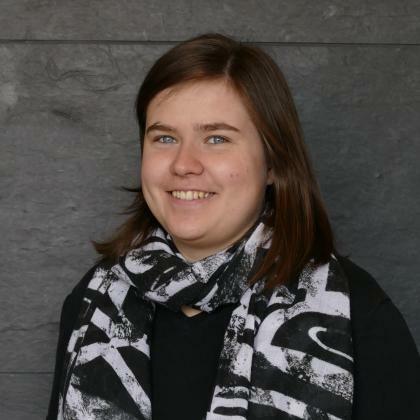 The crew was completed by Claudia Troger from HSR communications, who has tirelessly documented every move and has fed HSR’s social media channels with exciting daily updates. Further highlights of our mission were the workshop ‘Dialog towards an inclusive society’ including a joint presentation by Florian Hauser and Christian Bermes, a team reception hosted by Swiss Ambassador H.E. Mr. Jean-François Paroz in the Swiss Embassy Tokyo, as well as his visit on-site to watch the live demo of CYBATHLON Team HSR Enhanced at WRS. Finally, the official announcement of the CYBATHLON Series Wheelchair Race 2019 in Kawasaki, and the technology workshop ’Towards the CYBATHLON Wheelchair Series Japan 2019’ with a presentation by Christian Bermes and lots of exchange between the teams for 2019 rounded off an unforgettable visit. A big thank you to our host crew from Science and Technology Office at the Embassy of Switzerland in Tokyo: Kyoko Marumo and her team have made everything possible 24/7 for us and we cannot thank you enough! We would also like to give a special thanks to our sponsors who make all this possible with generous hardware and budget support! 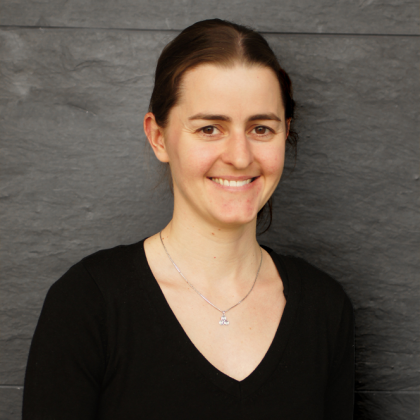 And last but not least thank you to the CYBATHLON organizers (especially Anni Kern and Dr. Lukas Jäger) and the University of Applied Sciences in Rapperswil (HSR)! 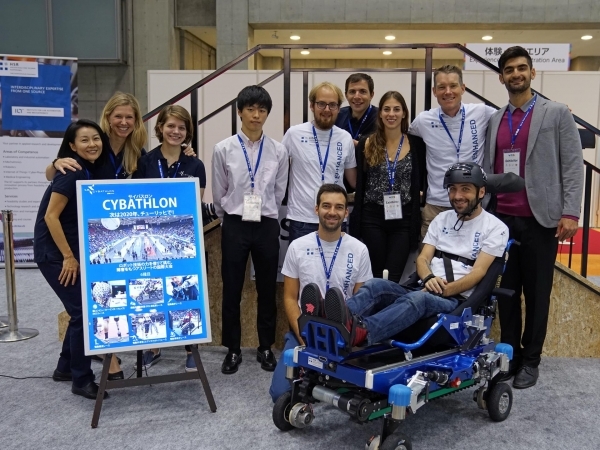 See you in Japan for CYBATHLON Powered Wheelchair Series 5-6 May 2019 in Kawasaki! 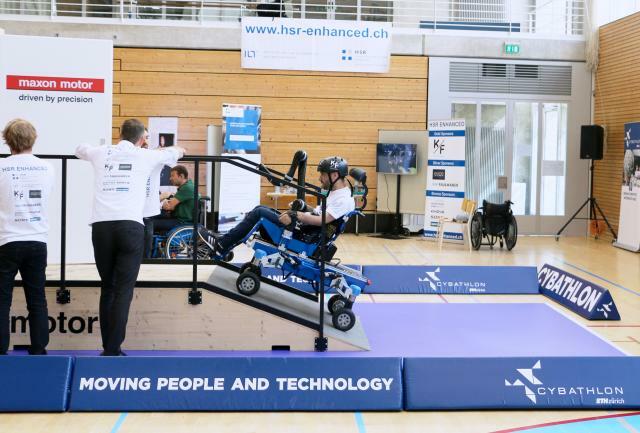 On June 23rd, HSR Enhanced participated in the CYBATHLON Experience 2018 as part of the Rollivision fair at Swiss Paraplegic Centre Nottwil. 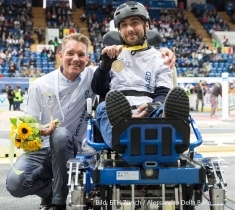 In four demo runs, our pilot Florian Hauser had the chance to test two brand new obstacles from the CYBATHLON 2020 race rules: ‘Cobblestones’ and ‘Ramp&Door’. According to the new race rules for ‘Ramp&Door’, the pilot may not touch the door anymore. Instead, pressing of the doorbell button and opening the door must be performed by a robotic manipulator integrated in the wheelchair. The pilot may, however, command this manipulator. 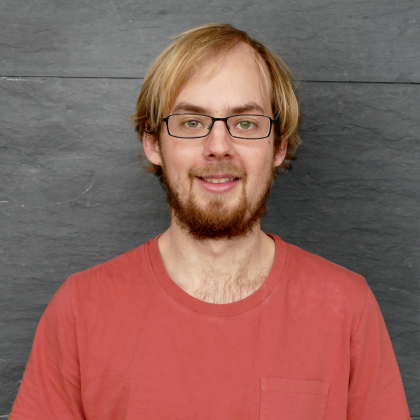 The solution from Philipp Weber’s recent B.Sc. 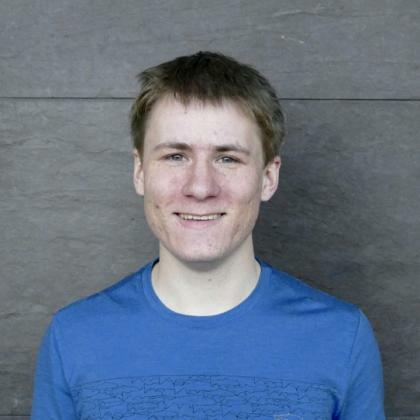 thesis, incorporating the robotic arm ‘JACO’ from our sponsor Kinova Robotics, proved to be very successful to fulfil the new requirements, such that pilot Florian could solve all the tasks at the obstacle. For Florian, it was only his second training with his new race wheelchair “ZED Evolution”. We are very proud that he solved all the obstacles presented to him flawlessly, and that he continuously improved the performance in every single run! The event was also an important networking platform. Mutual feedbacks between the participating teams and the organizers, and a close contact to sponsors made the CYBATHLON Experience 2018 in Nottwil a significant event for all CYBATHLON stakeholders. 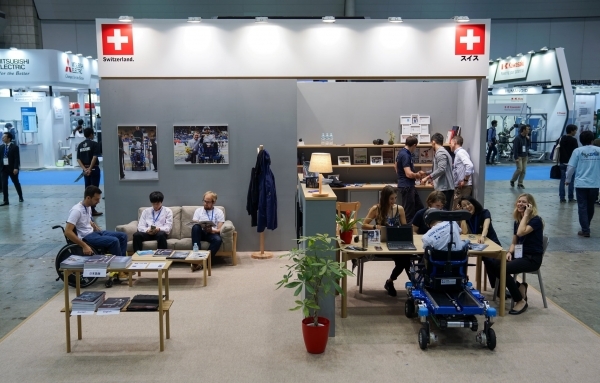 We say thank you to the organizers, the teams and the guests that showed great interest at our exhibition booth. Also, a big thank you goes to our sponsors for helping us moving forward! HSR Enhanced is the official Cybathlon team of the HSR Hochschule für Technik Rapperswil. 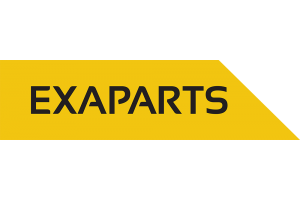 The project is initiated by the Institute for Lab Automation and Mechatronics (ILT) of the Hochschule für Technik Rapperswil. It aims at providing maximal agility and fun to our pilot Florian at the day of the race by means of an enhanced race chair. The technical team consists of project engineers of the ILT, as well as several Bachelor’s and Master’s students of mechanical engineering. CYBATHLON Series 2019, Kawasaki: Participation in the CYBATHLON Series championship on May 5th 2019 in Kawasaki, Japan. Followed by a scientific Symposium on May 6th. The drivers behind the CYBATHLON Series is to deepen the knowledge within specific disciplines and promote scientific exchange worldwide. 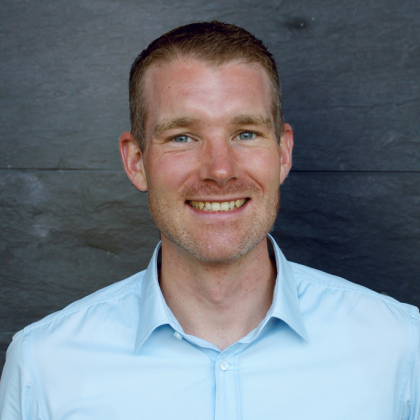 CYBATHLON Experience 2019, Lucerne: Meet the Team at Swiss Handicap 2019 on November 29 to 30 in Lucerne, Switzerland! 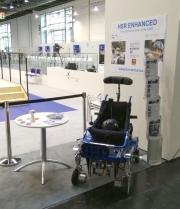 CYBATHLON 2020, Zurich: HSR Enhanced will participate in the Powered Wheelchair Race at Cybathlon 2020. We will do our best to defend our title from 2016! 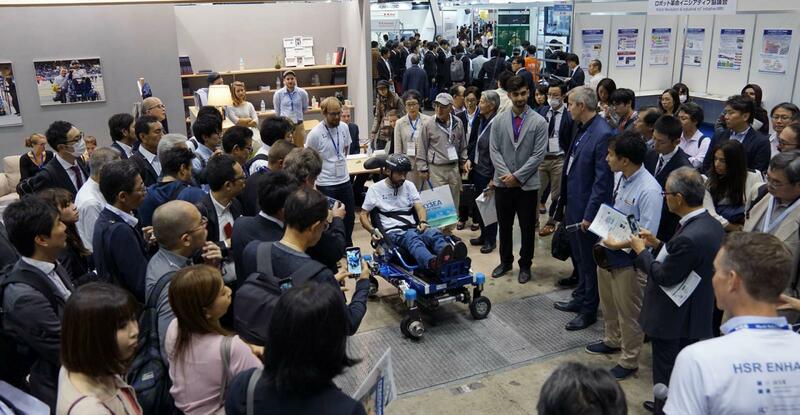 CYBATHLON Experience 2018, Tokyo: HSR Enhanced participates in the Cybathlon Experience at the World Robot Summit in Tokyo from October 17th to 21st. We are currently improving the technique of the wheelchair for this event. Do you want to support the technical development and our participation at the Cybathlon Experience in Tokyo? Here you find more information. CYBATHLON Experience 2018, Nottwil: HSR Enhanced participated in the Cybathlon Experience at the Rollivision fair on June 23rd 2018. For our pilot Florian, it was only his second training with his new race wheelchair “ZED Evolution”. We are very proud that he solved all the obstacles presented to him flawlessly, and that he continuously improved the performance in every single run! . 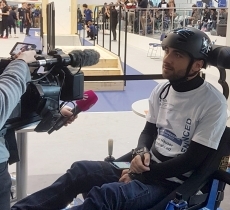 CYBATHLON Experience 2017, Düsseldorf: In October 2017, HSR Enhanced demonstrated their wheelchair in the Cybathlon Experience at the RehaCare fair 2017. As HSR Enhanced and its competitor Caterwil were on a very similar level, they delivered thrilling neck-to-neck races in every single run. The runs were on a consistent high level during the whole event and we are very proud of our pilot Flo who delivered once again outstanding performances every day. 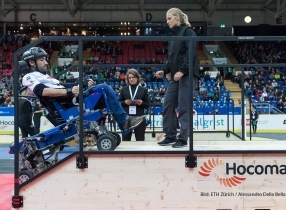 CYBATHLON 2016, Zürich: HSR Enhanced participated in the Powered Wheelchair race discipline at Cybathlon 2016. 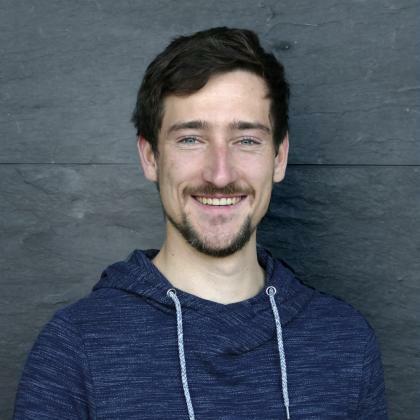 Within ten months, we developed an electrically powered race chair for our pilot Florian Hauser. 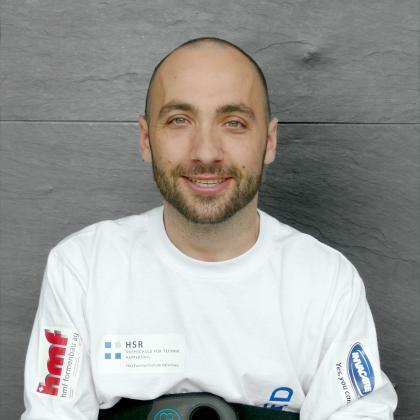 Performing with this device, Florian overcame the six obstacles in the championship not only safely and accurately but also faster than all his competitors: HSR Enhanced has reached the first place in the Powered Wheelchair Race of the Cybathlon 2016. Our pilot Florian delivered an outstanding performance both in the qualification heat and in the final: Although he was not leading on the first obstacles, he managed to overtake all his competitors. The Cybathlon is a championship for pilots with disabilities who are using advanced assistive devices including robotic technologies. It took place for the first time on October, 8th, 2016. The competitions are comprised of different disciplines that will test the ability of pilots to navigate a series of everyday tasks while using a powered knee prosthesis, wearable arm prosthesis, powered exoskeleton, powered wheelchair, electrically stimulated muscles and novel brain-computer interfaces. The assistive devices will include commercially available products provided by companies, but also prototypes developed by research labs. There will be two medals for each competition, one for the pilot and one for the technology provider [Source: www.cybathlon.ethz.ch]. The HSR Enhanced team is formed by the ILT Institute for Lab Automation and Mechatronics. Coming up in May 2019 is the CYBATHLON Series Powered Wheelchair Race in Kawasaki Japan. Team HSR Enhanced can only be there with the support of our generous sponsoring partners. To make it happen, we have designed new packages, matching your opportunity for publicity and visibility with our demand for sponsoring support. 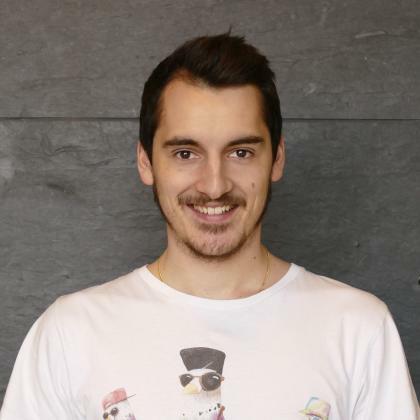 If you have questions, please do not hesitate to contact us (christian.bermes@hsr.ch). 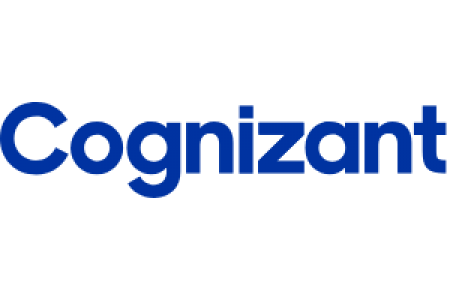 We are looking forward to teaming up with you for this project!